Friedman Benda presents a third, single-designer installation for its annual participation at Design Miami/Basel 2017, held from June 13 - 18. 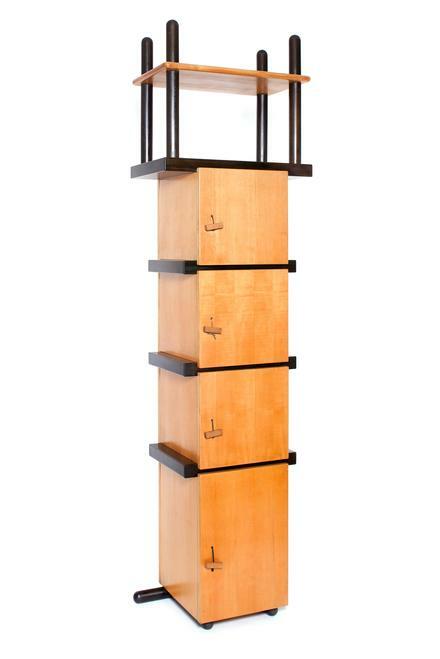 Featuring the work of Italian designer, Ettore Sottsass (1917-2007), one of the most influential, innovative, and prolific creators of the 20th and early 21st century. 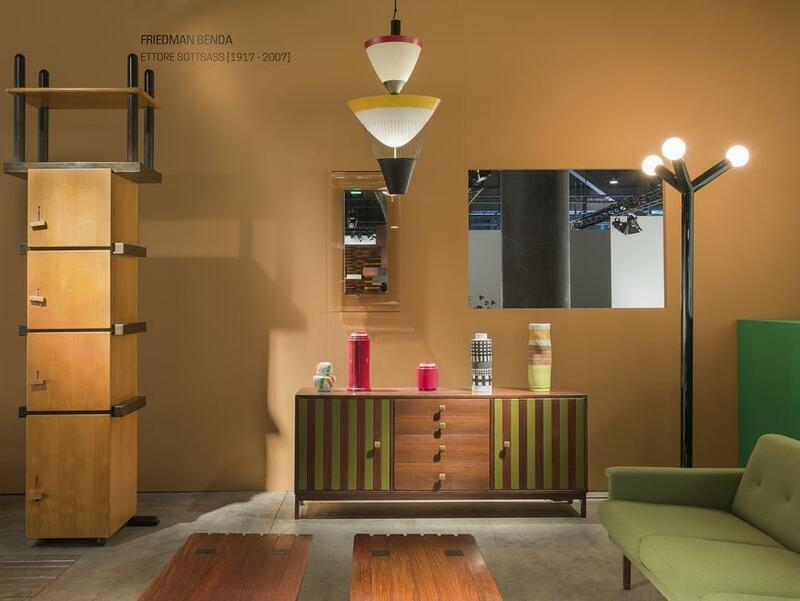 The individual experience with objects of daily life was a central preoccupation in Sottsass’ output and the visual language that developed as a result of this focus recurs in the full range of his work. This exhibition will celebrate the occasion of Sottsass’ centenary with rare works from pivotal early and late moments of his career, offering a view of archetypal forms and materials from noted projects. Works on view include examples of furniture, lighting, glass and ceramic objects, some of which have not been exhibited or made available since they were first created. 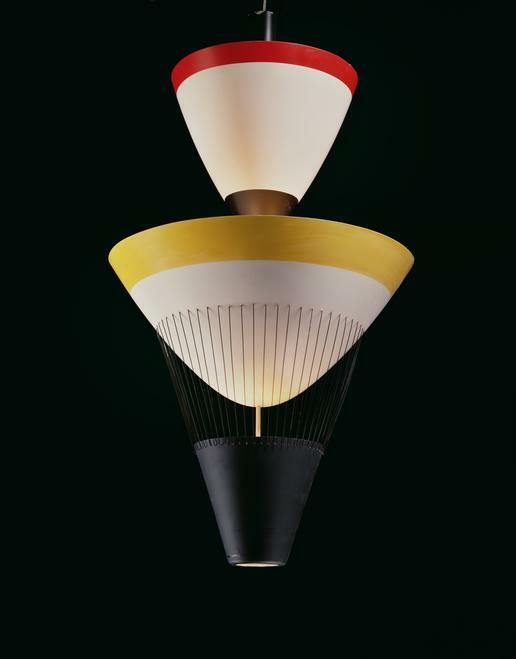 Of particular note is Hanging Lamp, 1957, designed for the Italian lighting manufacturer, Arredoluce. Last seen by the public at the 2006 retrospective, Ettore Sottsass: Architect and Designer, at the Los Angeles County Museum of Art, the simple, stacked volumes and juxtaposition of horizontal and vertical lines of this painted aluminum and threaded nylon piece showcase Sottsass’ interest in the artistry of painting and color as well as re-creating visual stimulation with three-dimensional objects. Cabinet, 1964 and Cabinet no. 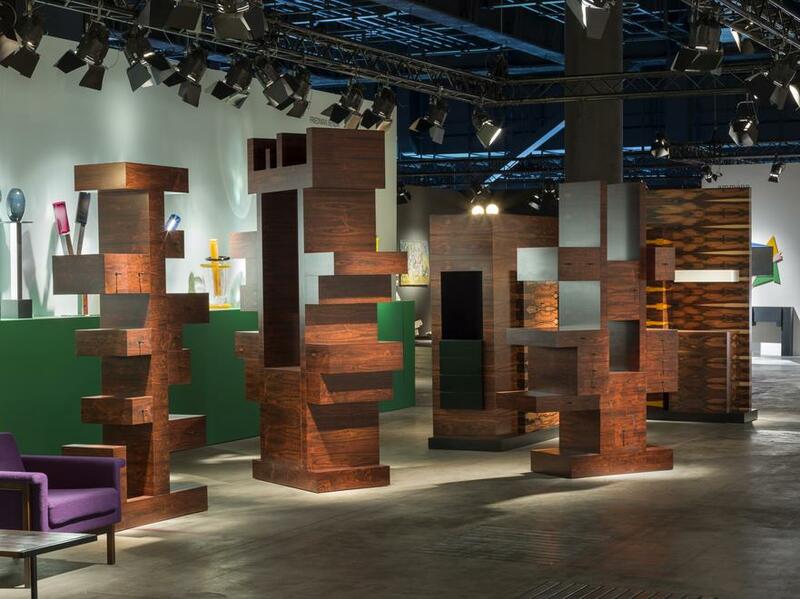 81, 2005, are two exceptional works that are representative of Sottsass’ lifelong investigation of monolithic form and dialogue between architecture and furniture. When viewed in the same context, their formal connections become apparent despite having forty years between their creation. 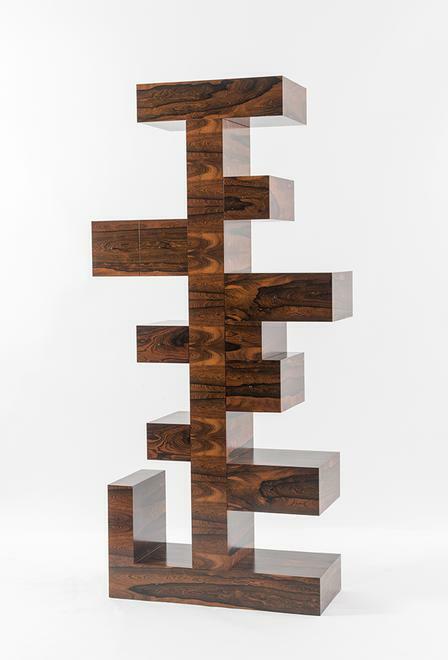 The early counterpart reveals Sottsass’ concentration on creating visual contrast with line and color while the later example highlights greater complexity of form and surface through its deconstructed elements and stunning wood veneer. This exhibition will mark the first public viewing for Cabinet since it was shown in Milan in 1965, and the first time it will be made available for sale since it was originally acquired. 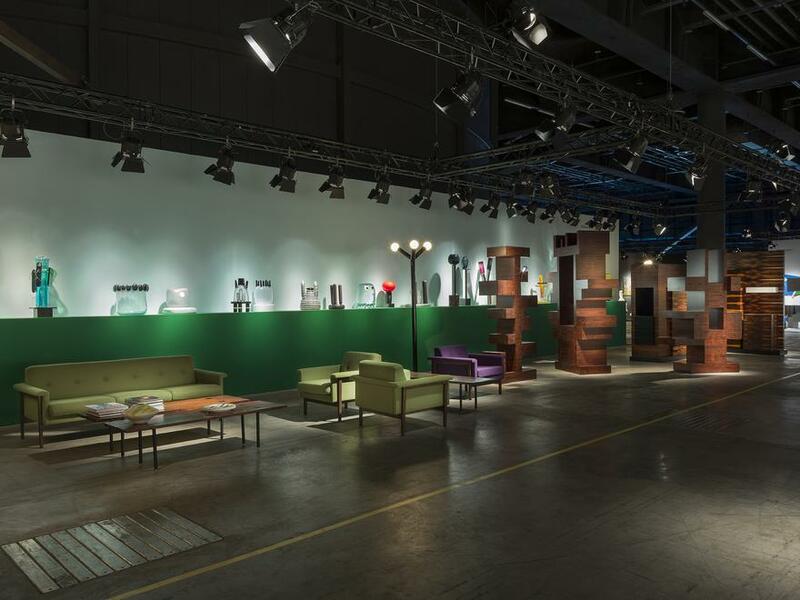 2017-2018 will be highlighted by several institutional exhibitions of Ettore Sottsass’ work. 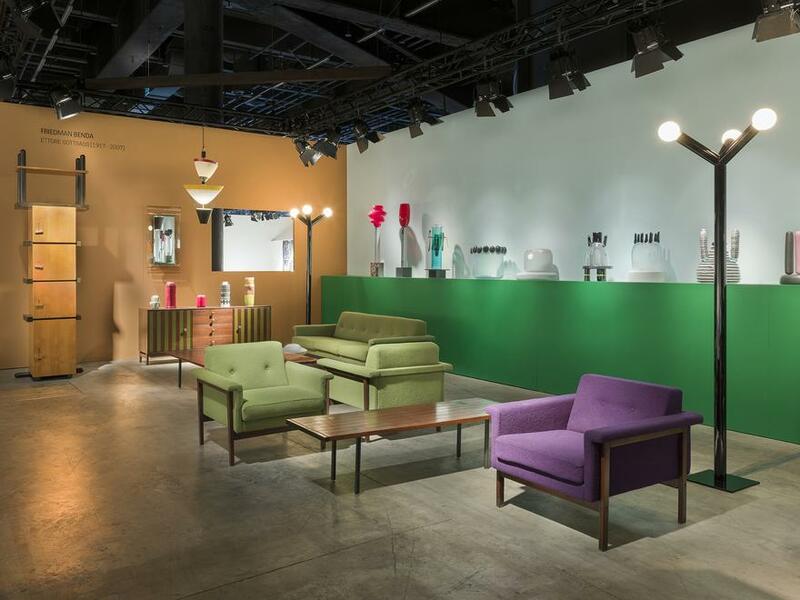 From April 10 – July 30, 2017, the Stanze del Vetro in Venice will feature the designer’s achievements in glass; for the summer and fall, both the Metropolitan Museum of Art – Met Breuer and the Triennale di Milano have announced major surveys of Sottsass’ life and work.